Gates is a fool, and should have his pension stopped. His claim now the F-22 was sacrificed for the B-21 is pure fiction, an effort to save face for his disaster decision to stop the F-22. He and Obama are reprehensible for those (and other) decisions. A true case of lack of leadership and leading from behind..
For the Russians, it must be rather sobering that we had superior engines in 1988. I get the feeling that even if they stole the info, they couldn't mass produce it given its tolerances, advanced materials etc. Ditto for stealth in general. The Chinese? Maybe. But building and deploying a 5th generation jet is clearly vexing. It's a LONG process, gobbles up insane amounts of $ and.... I don't think even the Chinese are there yet. It may look the part, but these Russian and Chinese designs can't possibly compete without the engines, stealth and avionics necessary to compete with the F-22 and F-35. And provided we do 6th gen right (and buy enough of them), it's just going to get worse for them as the decades march on..
Just imagine how the Iranians, Syrians, Russians and everyone else felt when they they didn’t know F-22s were around but were called over their radio to look over their shoulder. The look of surprise and shock no doubt on their faces when they saw the F-22’s nose pointing at them. Then they see the Winders jutting out. You know you can forget about trying any evasive maneuvers, because you’re dealing with the F-22, the most maneuverable production fighter ever built and it’ll just keep pointing it’s nose at you. If you’re the Raptor Driver, you’re thinking “Hmm…why waste a missile when I can just use my gun?” If you’re on the receiving end, it is quite unnerving your life could have been taken without you even knowing it...at close range. 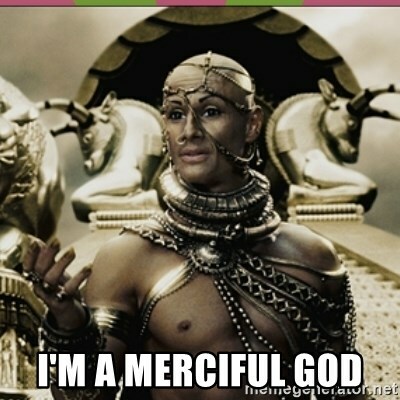 Or…it can be a merciful God. lrrpf52 wrote: I continue to wonder what the discussions are like among fighter pilots in Russia, China, Iran, and Syria. Thats probably how their pilots talk, but their fans have a very different conversation. The Americans are fools for putting all their eggs in the stealth basket, advancements in radar technology and IR/Optical as well as passive EM sensors, network integrated radar sites have already rendered Stealth obsolete or at least only useful against 3rd world adversaries. Da, just look, even poor Serbia managed to shoot down their precious Stealth aircraft, just imagine if they tried to invade us, Stealth planes would drop like flies. This is why Sukhoi took the smart approach, instead of heavily compromising performance in the name of stealth, Sukhoi placed heavy emphasis on aircraft performance with adequate levels of Stealth and more sensors to give their Raptor no place to hide. 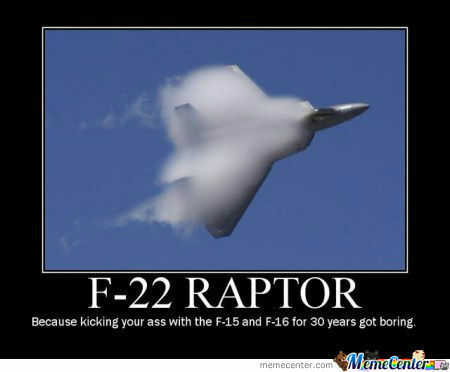 But what if the F-22 does manage to detect you first and shoots first. Don't be foolish, missile shots specially BVR shots have a very poor track record, their prized Aim-54 was hyped up to be able to hit drones from extreme ranges, but in actual combat, how many has it hit? 0 from USN serviceif I remember correctly. This will just get worse with the advent of our advanced DRFM bassed jammers. Trust me we will always make it to the merge. And in there, the superior performance and highly WVR centric doctrine of our pilots will surprise them. Yes I heard that even Typhoons and Rafales beat their F-22 up close, in India Su-30MKI mopped the floor with Typhoons, I just feel sorry for them, spending billions on poor performing aircraft. Actually a simple comparison of Thrust to weight ratio between the F-22 vs Su-35 and the F-35A vs the Su-30 will shut them up. 100%, 60%, 40% fuel with 6 missiles each and the 5th gens will have better numbers. It's too simplistic, I know, but most fanboys don't know that. So I re-calculated, this time with 12 missiles, yup he just shot himself in the leg with that one. Then you throw in the fact that flying clean means better fluid dynamic properties all around the aircraft, resulting in superior L/D, T/D and CL values and they're toast. Oh and sacrificing performance for Stealth? Yeah that was true for 1st generation Stealth which was based on diamond panels. But 3rd generation Stealth shows that the F-22 and F-35 were superior to their 4th generation counterparts in All kinematic metrics. Remember that 4th generation fighters sacrificed almost everything for performance and yet 5th gen surpassed their performance while maintaining Stealth. Thats what billions of dollars worth of research can get you. the only down side is they are expensive. Long ago, some have said the F-22 will shorten wars and save lives. Had the US wanted to, how many kills would the F-22 have tallied up to this point? If the kills were happening, would the other side continue to want to fight or bury their jets in the sand like the Iraqis did? In its A2G role, how much damage, destruction and kills did it achieve dropping ordnance on ground targets? 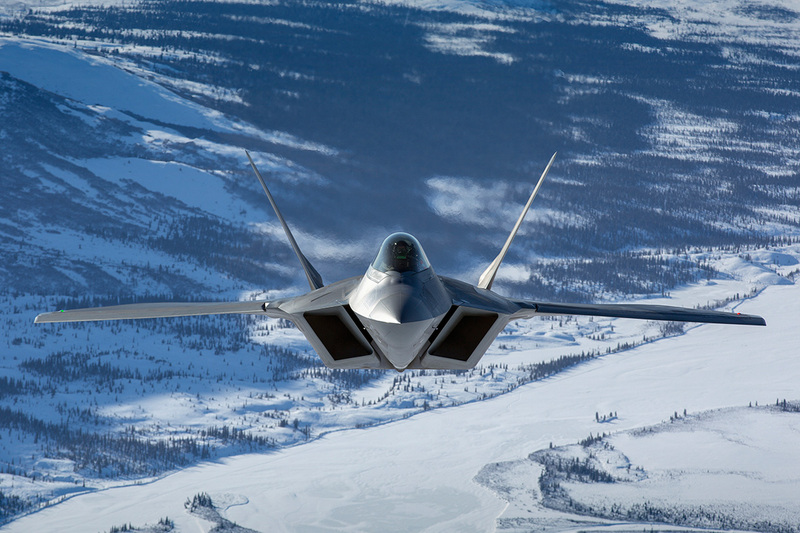 For 20+ years, there’s been one word that has described the F-22: Dominant. Lol.. Only 4,250 lbs??? What's that, like 4x 1k JDAMs and an SDB thrown in for good measure? There are those that would have you believe the F-22 wasn't worth the $. Obama and Gates were of this opinion, and it didn't take but a few years to judge their mistake costly. So now the revisionist history is this: They cancelled the F-22 to make room for the B-21!!! Yep, that's the party line now. Funny how nobody every heard of such a thing when they cancelled it. Oh no, it was all about fighting radicals using pickup tricks and AK's. The US had no near peer adversary, they were both way behind. It would be another decade before their 5th gens flew. Oh, how wonderful it must have been to be a fly on the wall when the J-20 took off for its maiden flight when Gates was in China! Credit to them for sticking it to him and making him look like the fool that he is. I've said it before and I'll say it again: Gates should have his pension yanked for such an onerous mistake. Obama got what he deserved, having to pass the torch to a man he made fun of and dismissed (repeatedly). I'd have killed to be in the limo with them on the way to the inauguration. But then, what did you expect from a US President and appointed Secretary of Defense that literally flew around the world apologizing for America, giving billions to rogue nations like Iran and treated our servicemen like 2nd class citizens? 1 fighter squadron (18 fighters?) against 600 enemies. So much for double-digit SAMs and Su-35s, LOL. What's the operating word for that? That is their powerloop followed by their loaded roll. They've been doing that for awhile now.